Recently CdM is moving forward with new lines and one-off projects among which the Flexplorer line represents a highlight as well as a turning point. The embrace of both design and technological advancements and deeply held commitment to move forward define what a CdM’s explorer vessel is today. The Flexplorer line embodies all features of a pure explorer vessel, robustness, seaworthiness and comfort in all sea conditions adding to these qualities an extra dose of flexibility and functionality while encompassing CdM’s usual superlative levels in both construction and equipment. Her eye-catching superstructure, almost vertical bow, huge deck are not styling exercises as they serve to provide the yacht with all feature that make her a perfect ocean-going vessel designed to face all sort of weather conditions in total safety and comfort. Among Flexplorer’s genuinely unique aspects it is worth mentioning the fold-down bulwarks that enlarge the deck space astern creating a huge terrace and an A-frame crane perfectly encompassed in the deck’s flooring. This feature itself is a remarkable piece of engineering purposely developed by CdM’s to provide the yacht with a powerful crane to launch an 8.5 mt tender without interfering with full use of deck space. It goes without saying that the A-frame crane also allows much safer loading and offloading operations as well as it eliminates any inclining issue. 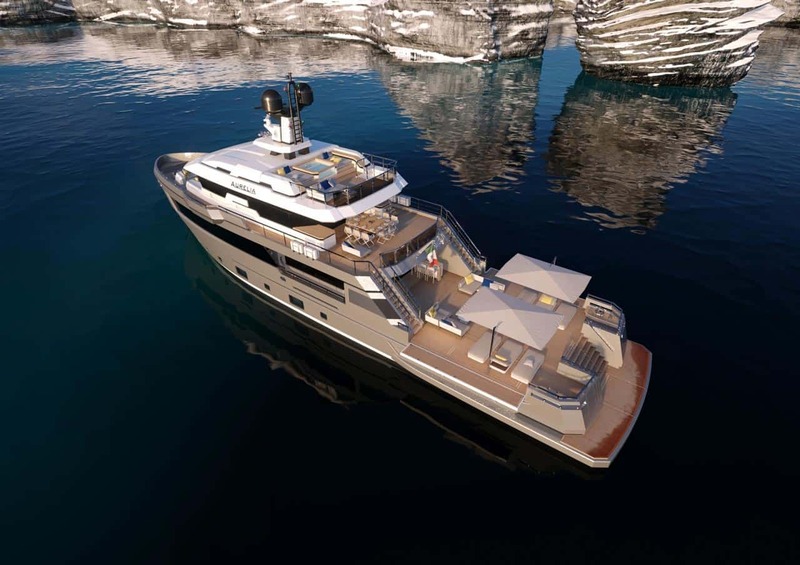 At the moment a 40-metre Flexplorer is under construction due to be delivered to her Owners in 2020.